At the very top of our list of must-do’s in Sicily was a visit to the famous Catania Fish Market. Fish and seafood are some of most important ingredients in Sicilian cuisine, but we were still blown away by the amount and variety of fish at this incredible market. Since we were staying in a villa, we decided to head to the market and pick up fish to grill for dinner. We had a leisurely morning, so we arrived around noon (slightly concerned that the market would be sold out), but it was still bustling. As we walked through the ancient arch, we tiptoed through puddles of water dripping from the fish stalls. 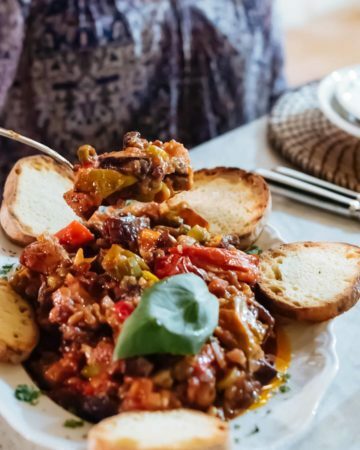 It smelled of the sea and was everything you’d expect of a working fish market in southern Italy — loud, hectic, a feast for the senses. Being from San Francisco, we’re accustomed to a certain amount of fresh seafood, but this was unlike anything we’ve ever seen. As we passed stalls that specialized in mollusks, cockles and clams squirted water into the air, and at certain booths we encountered fish that were still moving. 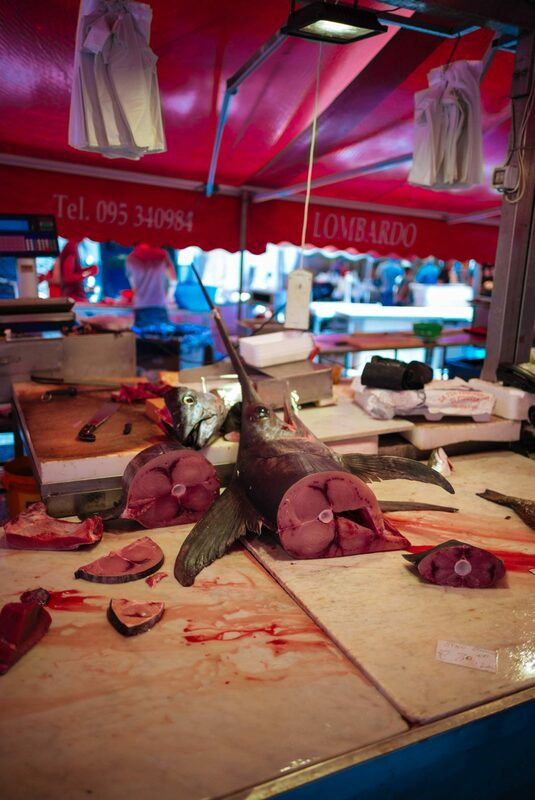 The fishermen working the market periodically toss ice water over their catch to keep it cold and fresh, and as we walked outside we were startled when we almost ran into the spear of a swordfish, whose head was sitting on the ground next to a stall. Swordfish (or pesce spada) is undoubtedly the king of Sicilian seafood – used in everything from pesce spada polpette to pesce spada alla ghiotta to pesce spada alla griglia – but the market also had the most beautiful mackerel, more varieties of prawns than we’ve ever seen, dozens of varieties of local fish, eels, anchovies, sardines, scorpionfish, octopus, and squid. 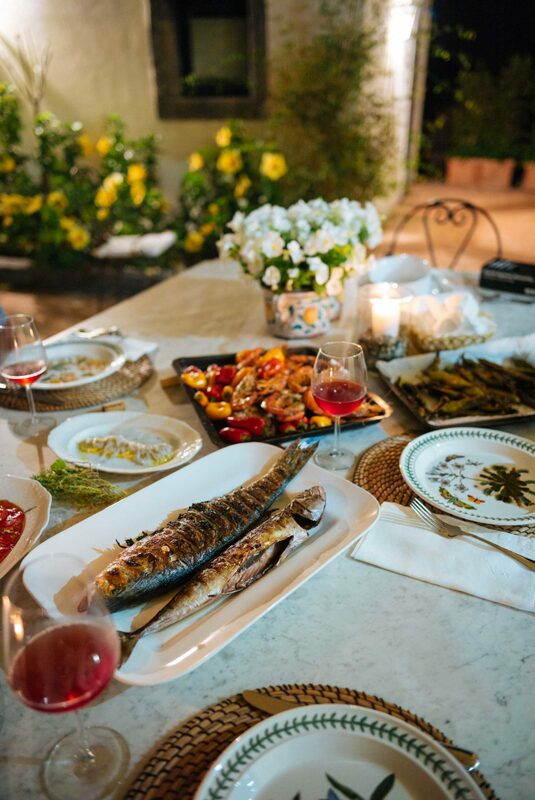 Our friend Davide, winemaker at Etnella, recommended a specific stall just under the arch, and we picked up a gorgeous mackerel and sea bass, fresh prawns, and as a special treat, a handful of baby anchovies (a delicacy to eat raw). 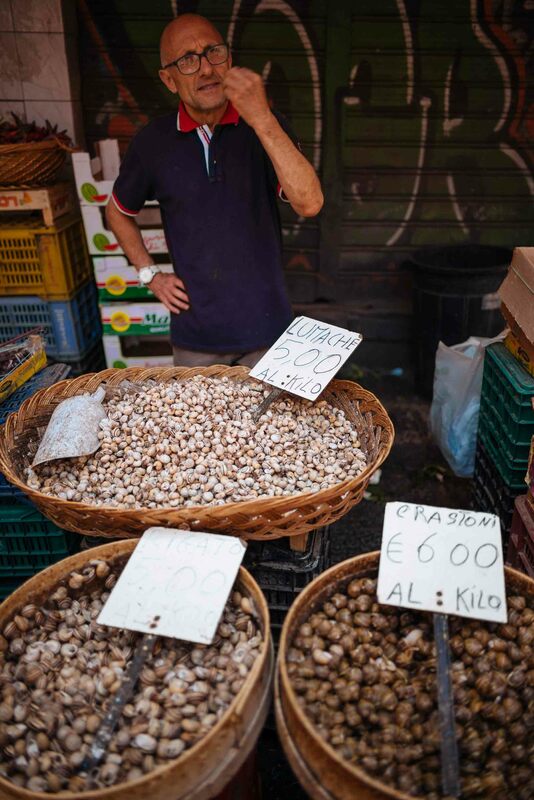 We sipped on one of Sicily’s traditional lemon and salt sodas while we investigated everything at the market. In addition to fish and seafood, you’ll also find some vegetable stands, snail vendors, and butcher’s stalls around the edges. 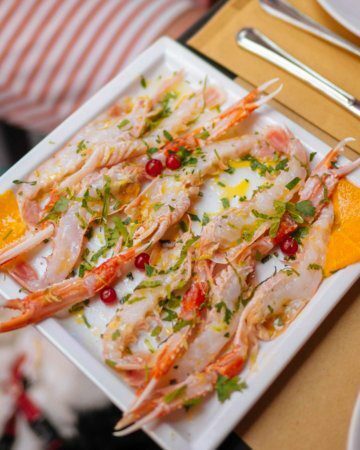 No visit to the Catania fish market would be complete without a stop at one of MM!’s restaurants along the edge of the market. We stopped for a glass of wine and lunch of grilled and raw fish, and enjoyed both as we watched the fisherman pack up their catch and close down the market. Then we headed home to prep for our dinner party. Our dinner back at the villa was fantastic and a special memory that we’ll always have. 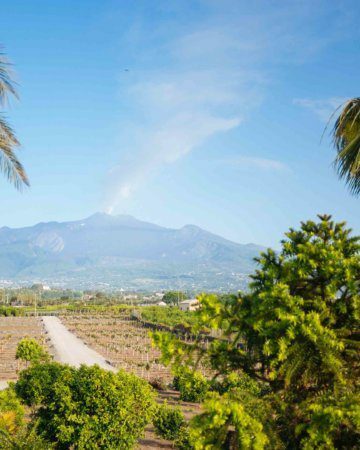 If you’re headed to Sicily, be sure to build in time for this experience. The market is open every day of the week, but it’s best to go as early as possible and avoid going on Sunday.